I have been searching religiously and am having a hard time finding a starting point. 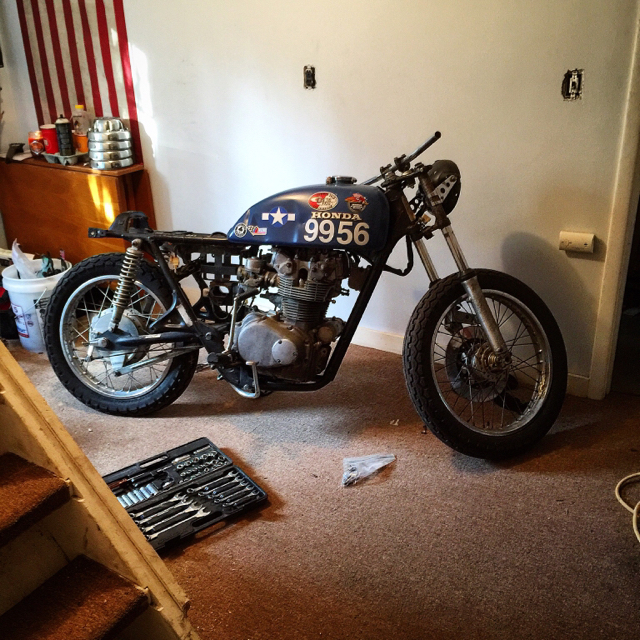 I am tossing around the idea of converting over my 600rr into the café build. I have a 2003 cbr600rr street fighter. I want to convert the front forks/fender/brakes/wheels etc onto my 75 cb500t. As well as the rear disc/wheel set up. 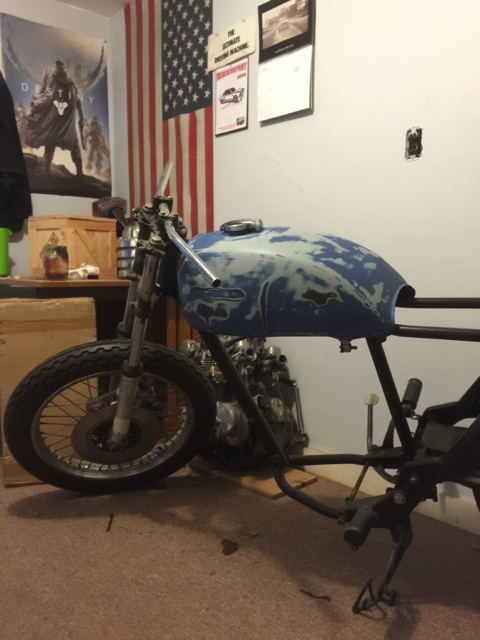 The CB500T should be a fun project, but it seems like if the CBR600 is a running and ridable bike it would be too bad to pirate parts for a 500T. Just my 2¢ worth. Do you have any experience doing this kind of stuff? Front end might be as simple as a bearing swap but the rear end is heaps more involved. Easiest thing for something this old would be CB750 front or early Goldwing. And maybe lace a wider rim to your existing rear hub for a slightly wider tyre. You wont turn your CB500 into a CBR by swapping the wheels - probably make it handle worse if anything. As for the rear, what's more involved? Converting to hardtail? Yes I get it. Flame suit has been on since I joined the forum. I'm not your typical "retro" or "conventional" guy. I like very different things. I enjoy heavily modded vehicles. Unique motor swaps. Old things with a surge of new life. Taking pretty things and making them ugly. It's weird. I know I'm asking for information on something that most people here will vomit over. I have my style and interests though, I figured someone would be able to point me in the correct direction without having to design and build everything custom. Well, you've got no chance of fitting the CBR rim inside the CB swingarm, so you need to swap in the entire CBR rear end. Which means you have to shave X amount of meat off the CBR pivot area because it's wider then the CB. Then you'll have different diameter pivot bolts (CBR will be larger diameter). So, you could probably ream out the CB swingarm pivot holes and get a new spindle made up. Then you have to think about monoshock or CB twin shocks. Twin shock would be easier because it just means welding some twin shock mounts to the CBR swingarm, but the top mounts are going to be closer together on the CB frame than the CBR swingarm width, so the shocks need spacing out up top. Then you have to try and line up the chain between the front sprocket and the rear because it will probably be a few inches off. You can trim a little off the cush drive, and space out a little at the front sprocket, but it wont be enough. So you'll have to look at an outrigger front sprocket or a jackshaft to run 2 chains. Aint simple. If it was you would see hundreds of them done. Or this. Would be the easiest. Although hardtailing this frame isn't that easy due to the single rear downtube. Thank you good sir. I appreciate the time spent for the response and the information within. I'm going to look further into the conversion with this info in mind and weigh my options. Again, thank you for the help!